LaSalle is an excellent option to rentsubmitted by Maynor V. - Jul 16, 2018 |Recommended: YesI highly recommend LaSalle as you rental solution, their facilities are excellent, secure and a great place to call home. The staff is friendly and helpful. 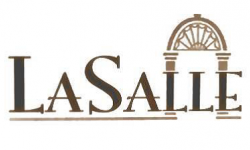 My stay at LaSalle was excellent and I will recommend them to anyone looking a very nice, affordable and nice apartments. Great place to livesubmitted by Breana E. - Jul 08, 2018 |Recommended: YesGreat place to live. The office staff is awesome Maintenance is fairly quick. Beautiful, clean and quiet propertysubmitted by Kelvin S. - Apr 30, 2018 |Recommended: YesI love living on the property. If there are any problems in my unit, the staff quickly fixes them . The noise levels are low. Overall, its a quiet , beautiful place to live. The neighbors are very nice and helpful.I hope to be here for a long time. Safe Placesubmitted by Maria D. - Mar 08, 2018 |Recommended: YesTo my a safe neighborhood is my my main priority, and i have found it here. I am very happy. I know that it is a little pricey but ... It it worth it. I think the property is well maintained and looks great submitted by Barbara A. - Mar 07, 2018 |Recommended: YesI like living here because I feel safe, the neighbors are friendly, the staff is very friendly, helpful, and genuinely concerned about the residents and their life situations. And...I love the fact that each apartment has its own garage. Great for bringing groceries inside when it is raining. Like any apartment that is on the first floor, I can hear every step my upstairs neighbor makes and sometimes at night it wakes me up. However, that is apartment living and doesn't take anything away from how great LaSalle is. La Salle is a nice and convenient place to live.It is well maintained, and has nice grounds and pool area.submitted by Nancy B. - Mar 06, 2018 |Recommended: YesI like the floor plan for my apartment and that there are a lot of windows that give a lot of light The manager and assistant manager and front desk person always want to make residents happy and take care of problems that are brought to their attention. The management has changed often in the office. Great complex No complaintssubmitted by Toyohiro K. - Feb 28, 2018 |Recommended: YesMy wife and I have been here for a few month now and have yet to find any complaints. The only reason for the 4 star rating for construction is because our apartment is not renovated yet. We needed to move into the room ASAP so we did not have time to wait for them to renovate our location but we are still extremely satisfied. Management has been great Mandy is one of the best I had a lot of trouble with getting the Spectrum package that comes with the apartment and Mandy personally called up there to negotiate for me. This complex is right next to the Dallas North Tollway but I hardly hear any noise from the highway. There are a lots of convenient places nearby also. Three minutes north of here is the Willow Bend Mall and many other shopping areas. Belt Line and Addison is less than 10 minute drive south of here as well. I do not see us moving out of here until we decided to move into a house next. I am pleased with my experience here at LaSalle Apts.submitted by Henry B. - Jan 10, 2018 |Recommended: YesIt's quiet and well maintained. response from property - Jan 11, 2018 Dear Mr. Henry Brantley, Thank you for your comments about your positive experience at LaSalle, we appreciate your residency and are happy that you choose LaSalle as your home. Your feedback is very important for us as we strive to improve and provide an excellent customer service that will improve the residency of all our neighbors. We appreciate you !!! Thank you so much. Best place I have ever lived submitted by Chris C. - Dec 02, 2017 |Recommended: YesIt's peaceful, cozy and it's the best place I have ever lived. It's conveniently located near everything.